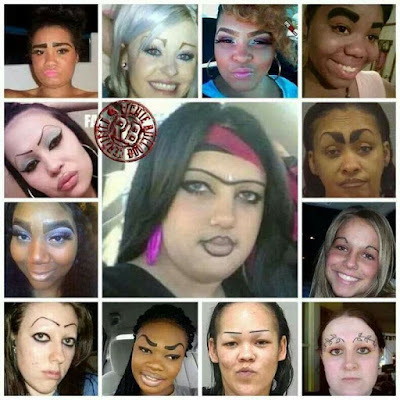 Eyebrows embroidery has been making waves these days and do you know why? It's because its super time-saving for working mums like me and don't you just love waking up to perfect brows? The last brow embroidery I did was about 4 years back where there isn't much variation unlike now where you can chose from 3D to 6D and also, powder form. To be frank, I am not sure what's the difference between all these Ds, for me, I just wanted a simple, affordable and natural looking brows. Alegria Asetheics is not only a aesthetics clinic but also a one-stop shop! They have a full list of services from facials, IPL, eyebrows/lip embroidery and body services! I was so excited just looking at their menu! ok back to brows. So, they sat me down and we had a chat on brows and also to understand what I needed. They showed me the ratio of a perfect eyebrow should have which brings balance and proportion to your face. Everyone has different features hence drawing it out on your brows before the procedure is required. It also helps me to know what will I be expecting or if I am comfortable with her recommendation. I was quite nervous throughout the process but because Veron is so fast, it makes the process a breeze. Knowing that I was nervous, she keeps our conversation on to divert my attention. Thumbs up for her service. Of course, it wasn't a comfortable process but it was painless lah. For me, it's the thought of the blade going thru my skin that makes me uncomfortable. Here's the look after a month! Went for a touch-up after a month and this is the final look! I definitely looked fresh, well-groomed and clean. Gone were the days of eyebrow pencils and spending at least 15 mintues trying to make the perfect brow arch every morning!